Tim started with Allied Group Sales on August 31, 2015 initially serving as the Vice President of Sales, and on March 1, 2016 became the CEO. Tim began his electrical career in 1993 at Fife Florida Electric Supply in Tampa Florida. 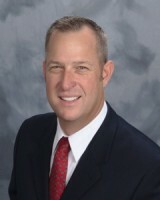 Through multiple acquisitions over his 22 year distribution career, including Hughes Supply, The Home Depot, and HD Supply, Tim’s responsibilities grew from Branch Manager, District Manager, Regional Vice President and ultimately Vice President of Sales and Operations for HD Supply Electrical. He has a Bachelors degree in business as well as a Masters of Business Administration from the University of South Florida. Tim is currently enrolled in the 3 year certification program at the University of Texas in Austin to obtain the Certified Professional Manufacturers Representative designation. Married since 1996, Tim and Jill have three children and reside in the west valley of Phoenix.